Paperworld Dubai 2018 | 2×3 S.A.
Paperworld Middle East in Dubai is the largest international trade show for office industry. They are the leading trade fair for stationery, office and school items in the Middle East region. The 8th edition of Paperworld Middle East will be taking place from 27 February – 1 March, 2018 at the Dubai International Convention and Exhibition Centre. The previous edition successfully attracted 6,443 trade buyers from 93 countries that sourced products and services offered by 313 international exhibitors from 42 countries. 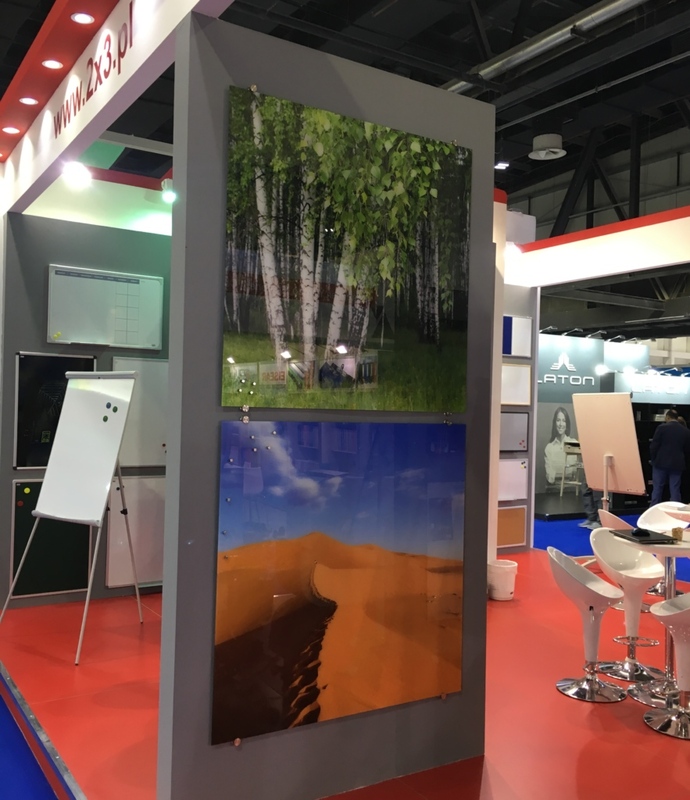 2×3 S.A. Company as specialist in the production and distribution of visual communication media for home, office and school, once again visited the international Paperworld fair. This year We presented glass flipcharts in few colors, glass boards and boards with prints, chalk boards and showcases. Paperworld Middle East is not only and industry trade fair, it is a ideal place to meet with clients and make new contacts. Thank you and invite you next year. This entry was posted in Company, Media o nas, Products, Featured. Bookmark the permalink.